Flashback to 10 years, and all you would have needed to start a successful eCommerce website was to have a decent web page, few products, some purchased online traffic – and voila! You are a successful eCommerce Entrepreneur. But not anymore. You need to be able to constantly drive traffic to your online store and excel at how you serve those online shoppers. Luckily, Shopify provides an easy-to-use eCommerce platform that helps you concentrate on the crucial things without thinking about the technicalities. So you may be asking yourself; “How to become a successful Shopify entrepreneur, then?”. 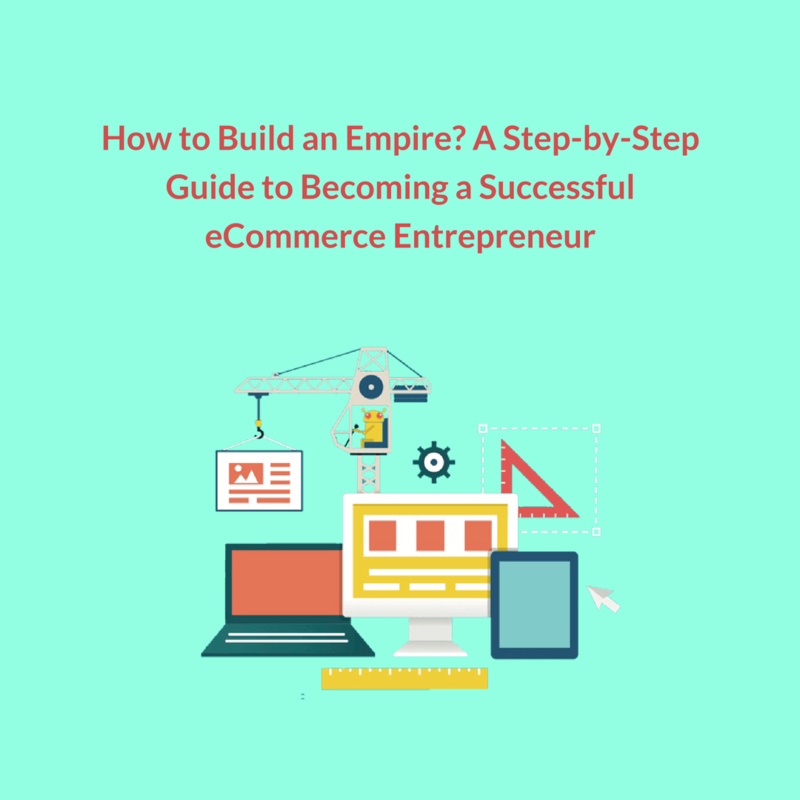 There is no single answer to this question but there are some well tested ways that’ll help you figure out how you should start building your eCommerce empire! While building a successful eCommerce website still not might be rocket science, there are few aspects you need to cover thoroughly if you want your eCommerce business to yield a profit for you. The reason is really quite simple. Competition is stiffer, as a result of which customers are spoilt for choices; and technology coupled with marketing are at the peak of their existence – enabling famous entrepreneurs across the globe to leverage on these two to provide a better customer experience. Want to be your own boss and make a decent amount of money out of online retail? Here is a list of things you need to do, broken down into 5 broad categories for a better understanding so you know what all to look at when you decide to convert your existing eCommerce business into a flourishing money-making business. There are several aspects you should consider optimizing when we talk about marketing. Your marketing strategies will maximise and define your ROI, be it social media marketing, email marketing, or creating relevant and original content. One of the simplest ways to boost customer lifetime and loyalty is to run email marketing campaigns. The ROI from email marketing couldn’t be better than it is today. Cost effective than many other marketing channels coupled with a greater reach makes this marketing channel a favorite among the successful entrepreneurs in eCommerce. With email marketing, an eCommerce Entrepreneur can choose to send messages to a specific segment or to all the users on your email database. The crux of the matter is you can use these emails in a number of ways to reach your prospective audience. Newsletters and drip emails, festive discount emails and abandoned cart reminders are few of the many things you can do with email marketing. Emails allow you to build a strong relationship with your customers. It’s a medium for one-on-one communication between you and your customers, and it plays a big role in your shoppers’ purchasing decisions. In other words, emails give you an opportunity to become familiar with your customers. If you’re an eCommerce Entrepreneur and operating an online store, you are likely to see a pattern of customers visiting your website, putting items in their cart, and then leaving without making a purchase. This gobbles up a large chunk of sales and revenue. But with email marketing, you can now turn the tables on this one. When you have your customer’s email addresses, you can identify and communicate with them to remind them about what they have in their carts. Database segmentation is crucial when we’re talking about email marketing. Segmentation helps you when you are sending chunks of messages to the users on your email list. 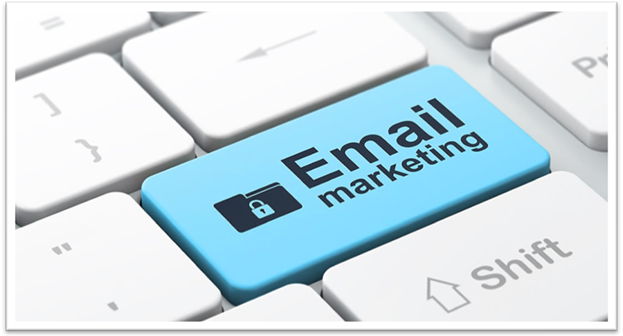 With a nicely segmented email list, you will be able to build a highly targeted email campaign. Email subject line personalization will also help you display personalized subject lines in your emails. These emails have a higher open rate (approximately 50%) than the ones without subject line personalization. Personalization is much more than offering your customers a more customized shopping experience based on their online activity and buying patterns. There’s a lot more to it than that. 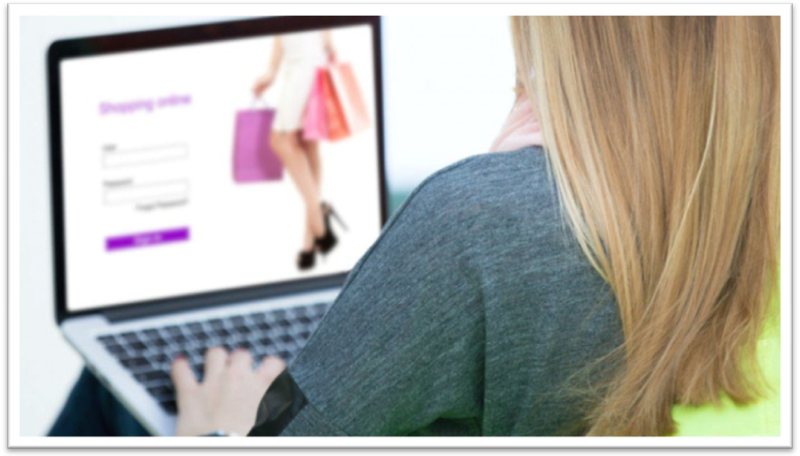 Let’s look at some of the ways you can personalize your eCommerce website. Behavioral Targeting – This is typically when you are communicating with your shoppers given that they have finalized a specific action i.e. browsing through 5 pages, visiting from a specific location, abandoning their carts. There is a rule-based engine working in the background. When a customer triggers one of these actions, the commercial rule is applied i.e. displaying a discount coupon in the form of a pop-up. By this, you can offer your online shoppers different offers in real time based on things like the source through which they entered or how many times they have visited the site. Predictive Recommendations –This is when email campaigns or similar messages are sent to customers recommending them products based on their past purchases or buying behavior. 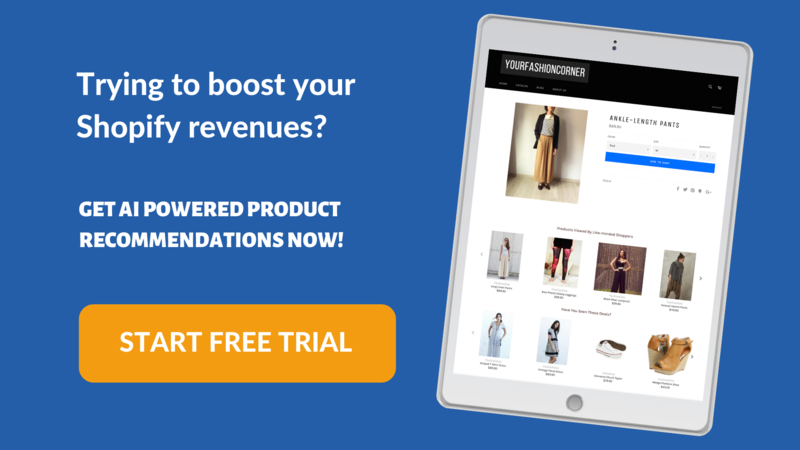 Apps like Perzonalization makes it easier for an eCommerce Entrepreneur like you to recommend products to your customers visiting your website by acting as their personal shopping assistant. The app understands that each customer is different and hence, recommends products based on a customer’s buying behavior. The app promises to boost your sales up to 15%. So, it’s definitely worth a try. Create relevant and original content: You will be shocked to find out that content on the internet is doubling every 9-24 months. Hence, you need to be different and as relevant as possible to your target audience. An original content which is of high quality not only makes your website searchable, but also gives your target audience something to hold on to. Not to forget that this shall also be a key component of your SEO strategy. Increase Social Media Reach: With an average person spending more than two hours in a day on social media platforms, you need to bring your business in your audience’s line of sight. Explore platforms like Instagram, Pinterest and Google Plus to showcase your products. When you write a blog post as an eCommerce entrepreneur, you want to share it with the world. Social Media is where you do the story telling for your brand. Improvise your PPC Campaign: Do not undermine the importance of a well-structured and executed PPC campaign. Check your Google AdWords account once a month and revisit the ad group structure. Keep in mind that lots of ad groups with fewer but more relevant keywords can guarantee you a higher CTR. Entrepreneur, you wouldn’t want your customers to get frustrated with content that is generalised and is not relevant to them. If you’re not sure where to start, try studying the different behaviours that your visitors displayed on your site and then segment them. 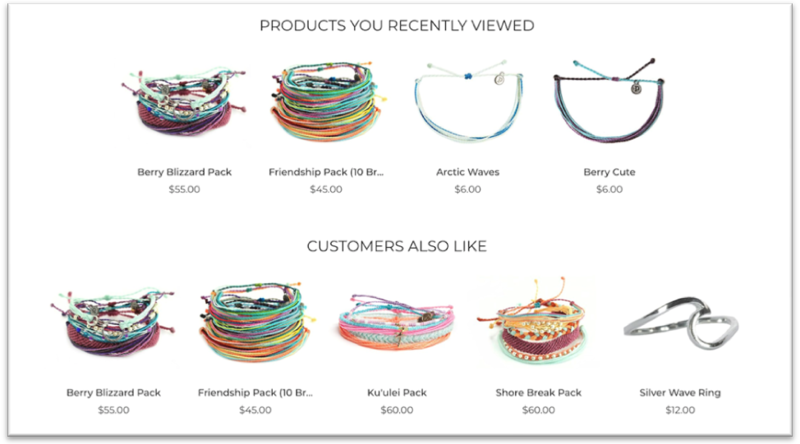 Look at which customers opened your email, or which products they clicked on. From this, you can start with your personalization efforts likesending them behaviour-triggered emails and marketing campaigns. Make a clear call-to-action: It must grab a visitor’s attention as soon as she lands on your website, so that she can know exactly who you are and what you are offering. This is the information that encourages your visitors to stay on your website longer instead of bouncing off. Optimize for Mobile Commerce: While a responsive eCommerce site is good, a more proactive approach would be to optimise your website for mobile commerce. mCommerce optimization is an ongoing process and is here to stay. Manage returns quickly and effectively: Your customers will be happy once they know that they can return the goods without losing their sleep. Unparalleled return options, which are practically free of cost for the customers, are the needs of the hour. Consumers are less likely to buy your products if your returns’ policy is expensive or non-existent. Use metrics to track order fulfilment: Use of proper metrics to track progress of orders fulfilled within the promised time, accuracy of the orders picked, packaged and shipped within the required time etc. ensures happy and returning customers. Optimize transportation specifics during picking: Encourage your warehouse to reduce transportation costs – reducing transit times and fuel costs. Use of inter-modal transportation can come handy in this case. This will promote fast on-time delivery. Outsource when necessary: If at any point you are unable to handle the high demand, choose to outsource order fulfilment to third-party logistics. After all, your customer will expect a timely delivery. Focus on omnichannelstrategies: Your eCommerce facility should be designed to support omnichannel and eCommerce warehousing strategies. Due to increasing omnichannel demand, it will be wise to consolidate all warehouses under one roof, including direct-to-wholesale distribution, consumer (D2C) retail and D2C eCommerce. Implement cloud-based supply chain technology to gain visibility in terms of performance. Optimize delivery of goods: Improve delivery options by offering personalized shipping options. According to a report, 39% shoppers preferred convenience over cost. Not only a start-up or a newbie eCommerce Entrepreneur needs funding. Cash injection into any new venture is critical for a strong ramp-up. Very often than not, funding is required to beef up your marketing efforts, explore new markets and to find new customers. The top entrepreneurs in eCommerce are the ones who have been able to convince the VCs to inject cash into their eCommerce startups. Angel Investing: An angel investor provides seed money for starting a business, or may also fund a business providing ongoing financial support. Angel investors who invest in start-ups often want partial ownership of the business. It is up to you as a business owner to negotiate the amount of equity you would want to lose in your business. Many times angel investors are members of the business owner’s family or a friend. Venture Capital: With deep pockets to their credit, Venture Capitalists (VC) ideally write bigger cheques than what an Angel Investor would do. These kinds of investors are ideal for larger eCommerce start-ups since they can bring in more cash. They often also play the role of a consultant and can guide your business to become a profitable venture. Having a strong network of similar people, your VC may also bring in new shareholders who would want to invest in your business once they believe in it. Crowdfunding – There are people who are keen on investing small amounts in order to help someone launch a business. Crowdfunding is perfect if your business is appealing to a niche. This can also work if your eCommerce site is developing its own products. This kind of funding allows the business owner to retain the entire stake in his business. And since it’s a public request, it can build a traction for your business and have an audience who knows about you. As more and more eCommerce companies continue to venture in to the high-end technological space of Artificial Intelligence (AI) to better serve their customers, the human element of these businesses remain an indispensable part. One of the major challenges of the eCommerce industry is that it doesn’t have a readily employable workforce. It has to depend on employing those who are the closest fit and then train and retain them for the longest period possible. Since most of the workforce in the industry comes from other verticals, care should be taken to identify and hire the people with the right skills. Also, when looking at the past experience of the candidate, the selection criteria should be based more on the industry than on the ‘brand’ from which she is coming from. Skill development and training programs should be conducted for existing as well as newly hired workforce from time to time to keep them updated. 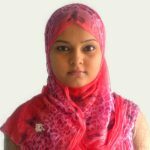 eCommerce companies also need to have clearly defined processes in place, considering that the workforce may have come from completely different sectors and may not be aware of the eCommerce workspace. Bottlenecks within the organization can be prevented by keeping the work culture transparent. Transparency should also be there when it comes internal information flow. Your website is the very first impression you give to a potential customer. An engaging and accessible website leads to proliferation of its sales. For a business garnering all its revenue from the internet, its website needs to be focused and optimized for conversions. A good website not only includes your landing page, but also includes well-structured and optimized product pages. Although you think you have chosen the best ecommerce website builder for your online store, you’ll still need to do test lots of different approaches to make sure that your conversion funnel really works. Attempt to give your mobile shoppers a good experience. Ensure your product images are high quality and your product descriptions are keyword rich and precise. Enable the “Zoom” functionality on your product images. Frequently check your website speed with Google page insights and try to decrease the load times. Accounting for your business can be quite overwhelming if you do not know what to track and where to look. However, it’s just a matter of breaking the process down into manageable pieces – and you are good to go! Be aware: Be in the know about existing laws and regulations around accounting for your type of business. Governments in most countries will usually have their own websites with regulations listed down pertaining to tax and general accounting. Do some online research before you set up your accounting processes. Keep a record of all your financial transactions: To ensure smooth financial operations, it’s imperative that you keep a record of all financial transactions pertaining to your business. All your receipts, invoices or any other paperwork that show your income and expenses should be kept in a systematic and organized manner. You can also maintain digital copies of all your important documents so that you never lose an important paper. If you’re asking yourself “How to become a Shopify successful entrepreneur?” and setting yourself targets to become one, then it may be the time for you to act more professional and always be ready for an external audit. 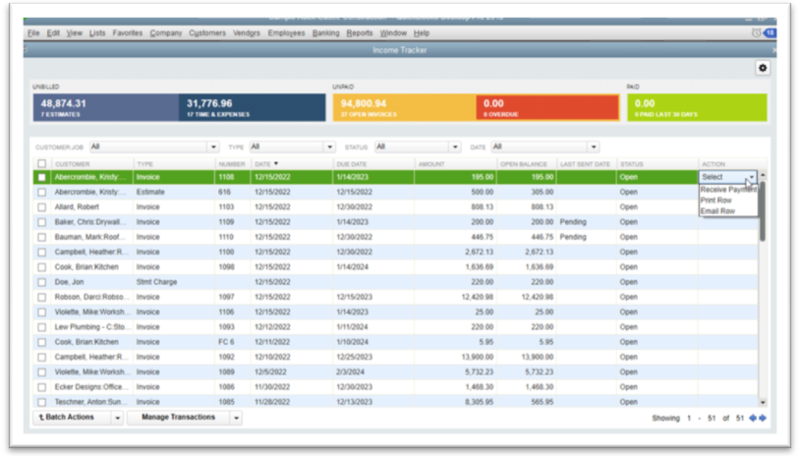 Wave is a free software, with which you can take control of your accounting, payroll, invoicing and much more. 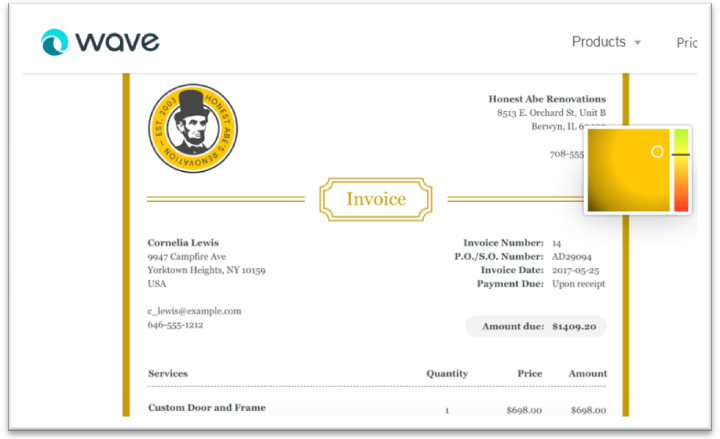 You can import data directly from PayPal, Excel and many other sources into the application, and easily generate reports and create invoices and payslips. QuickBooks is the number one small business accounting software, offering accounting applications both on the cloud and on-premises. The software can be easily integrated into your Shopify store. You can choose a package from their options and be on the go! The interface in Kashoo is simple and minimalist, and data entry is agile and easy. It can also be integrated with many of the popular financial apps. The company claims that it will just take you one day to learn their program. They have free unlimited support, which they take a lot of pride in and who will be there for you if you stumble anywhere at any given time. Xero has been leading the market in Cloud Accounting in UK, Australia and New Zealand for some time now. They have a wide range of product and service offerings which facilitate the smooth operation of small businesses and for a Shopify Entrepreneur like you. With the help of their online accounting services, you can handle invoicing, payroll, cashflow and payments. Xero also provides a multi-layer security, 24/7 customer support and hundreds of add-on business apps. Building something fabulous takes thought, hard work and above all, a vision to excel. And although, running a successful Shopify store might initially seem like a battle every single day, as an eCommerce Entrepreneur you will get to realize sooner that this is your passion and you have to live up to it. The first thing you need to realize is that it’s going to take time. The first component of building a successful eCommerce business is to focus. There are tons of resources out there. All you need to do is to find out what works best for your niche and master that craft. So, work hard, stay motivated and remind yourself that this is important to you. With the guidelines I have provided in this post, I am sure you will at least start looking at building your eCommerce business in a whole new light – and that sure is a start.